Get in touch to discuss your requirements and obtain a quotation today! 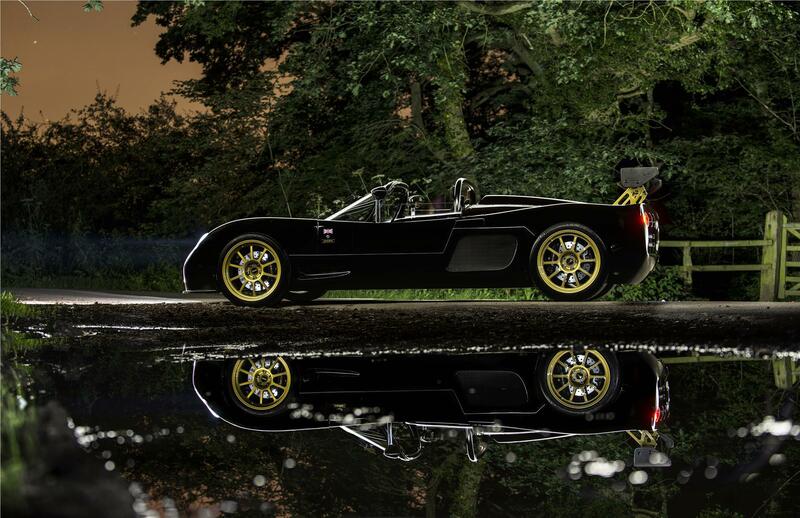 Choosing an Ultima EVO Convertible doesn’t mean bad weather will stop play! The Convertible is available with a highly effective roof system. 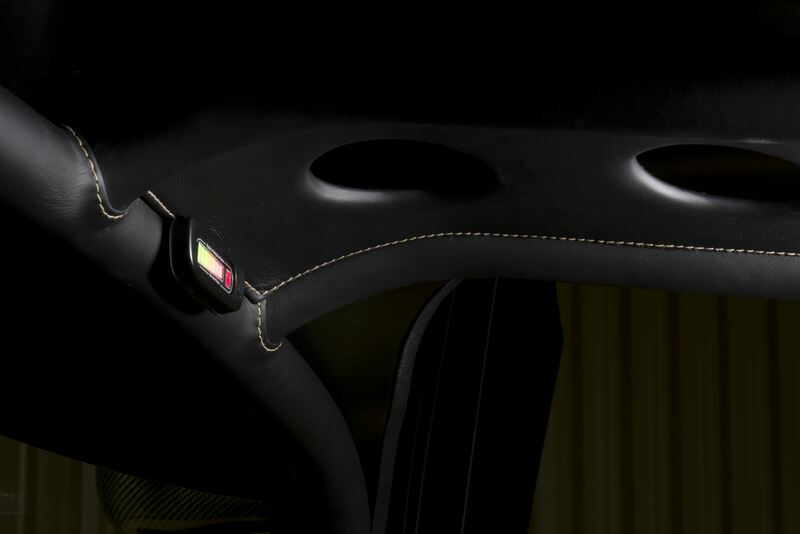 The EVO Convertible can be used with either a full screen (as shown) or an interchangeable low flyscreen for the ultimate Le Mans prototype experience. The EVO Convertible benefits from all the developments seen in the Coupe, with no compromise for the wind-in-the-hair experience. Whether Coupe or Convertible, the EVO guarantees a driving and ownership experience unlike any other supercar. Are you ready? With over 15 different engine power options, you are guaranteed to find one that suits your demands, up to the supercharged 1020bhp LS V8! The new 1020bhp Evolution model has already been tested by the factory and has recorded a road legal 0-60mph time of 2.3secs, 0-100mph of 4.9secs with 0-150mph taking a mere 8.9 seconds! It has the capability to accelerate onwards to over 240mph. The EVO Convertible, like its Coupe stablemate, is the result of over three decades of continuous development, since the release of the original Ultima back in 1984. The Ultima EVO Coupe and Convertible epitomise everything we have learnt over that period, to develop a car that’s easy to build, sensational to drive, represents great value and yet is without compromise. "The Ultima will deliver devastatingly quick laps effortlessly and intuitively. I have to confess to being fully captivated by the Ultima. It’s a package that’s hard to fault"
Improved quality of gel coat finish to the bodywork with a major rework and overhaul of the body moulds to an unrivalled new market-leading standard. New specification of gel coat introduced utilising the latest advances in gel coat pigment technology. Nine new gel coat bodywork colour options added to the Ultima range. 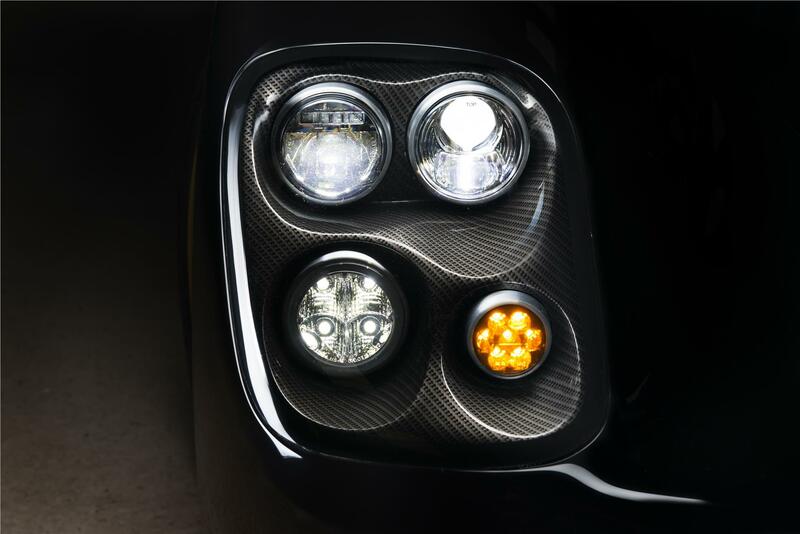 LED front triple headlight system with custom machined anodised aluminium Ultima bezels. LED daytime running lights for increased safety and visibility. LED side indicator repeaters. Lightweight forged alloy one piece wheels for increased performance with the Ultima Evolution logo. 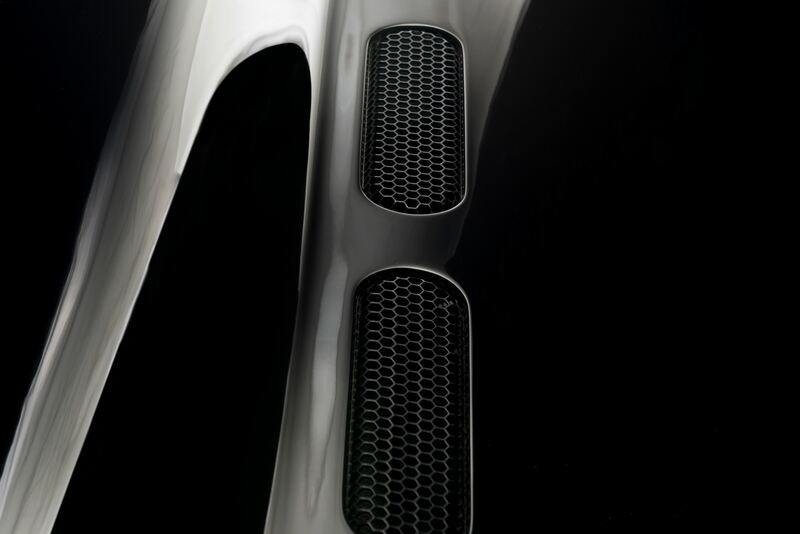 Longer front wishbone design with revised frontal geometry. New quicker ratio extended steering rack for faster corner turn in. 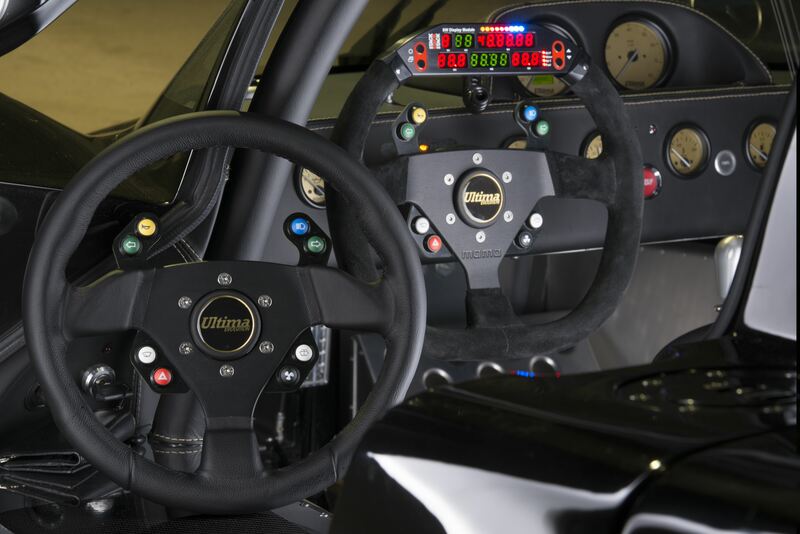 New steering wheel system with wireless integrated button controls instead of rocker switches. Flat bottom steering wheel option for easier driver entry/exit. New quick shift machined alloy billet central cable operated gear shifter. 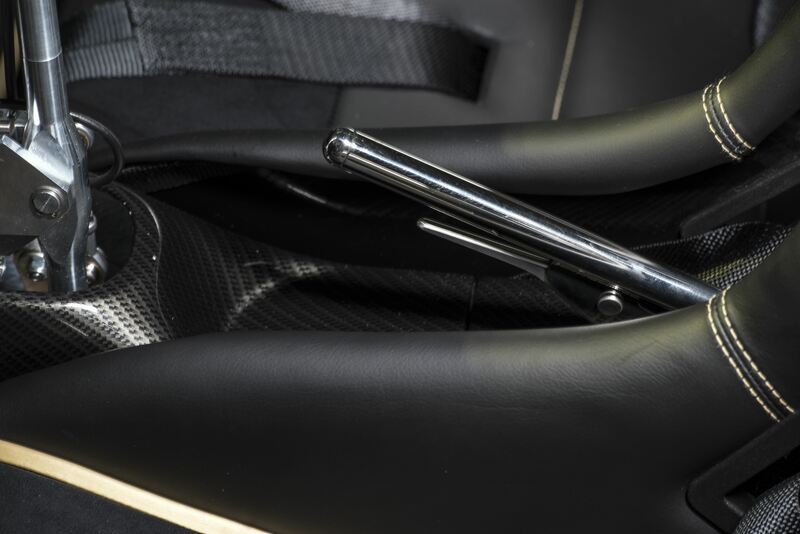 Carbon fibre style central gear change/handbrake cockpit console. New billet dashboard switch gear. New billet interior door handles. New style engine start button. New style dashboard face level air conditioning vents for improved cockpit cooling. New dashboard warning lights system. 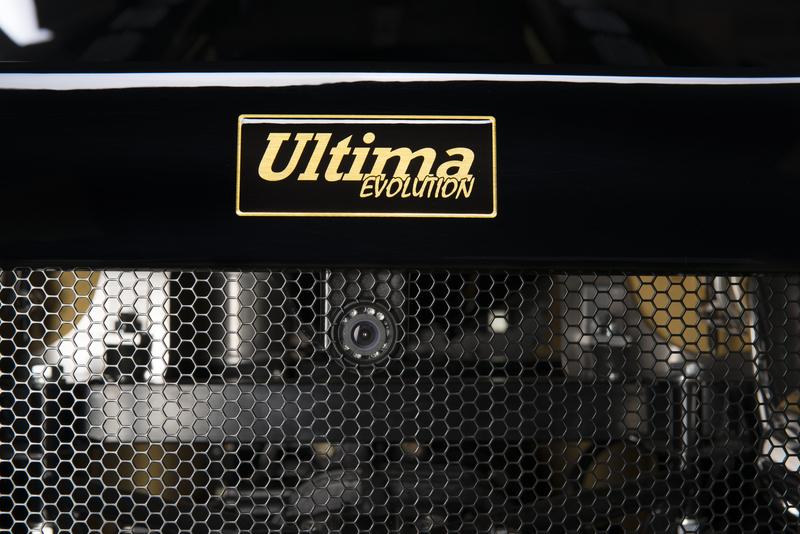 Ultima instruments colour coded to the wheels with the Ultima Evolution logo. 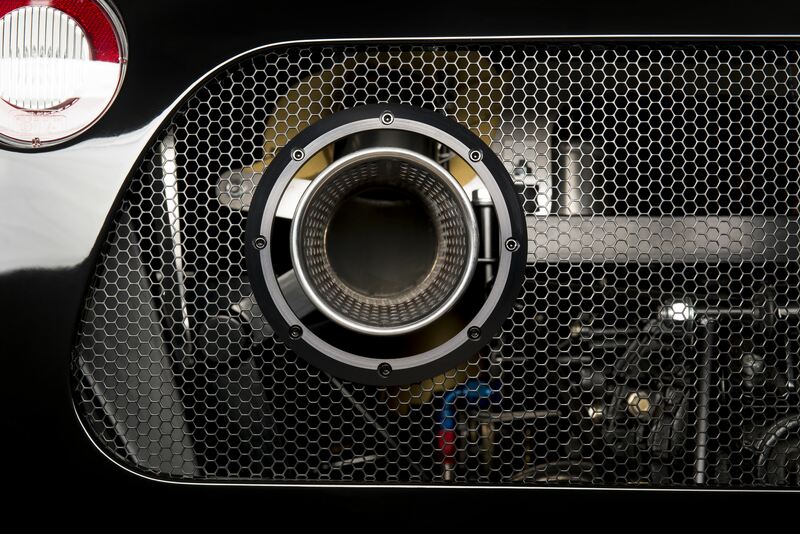 New custom made Ultima EVO hexagonal design aluminium body grills providing increased airflow and cooling. Roll cage fully leather trimmed with colour coded stitching. New perforated leather for the seats with alcantara inserts, colour coded stitching and the Ultima Evolution logo with a colour coded piping option. New floor carpet option with colour coded piping option. Seatbelt Ultima specific shoulder pads. Stack steering wheel integrated digital data logging display option F1 style. Rear parking sensors integrated into the rear canopy with a cockpit mounted proximity sensor. Rear view reversing camera mounted into the rear grill. Alpine car stereo and speaker system. Improved and updated Ultima wiring loom. Carbon fibre style front brake vents. 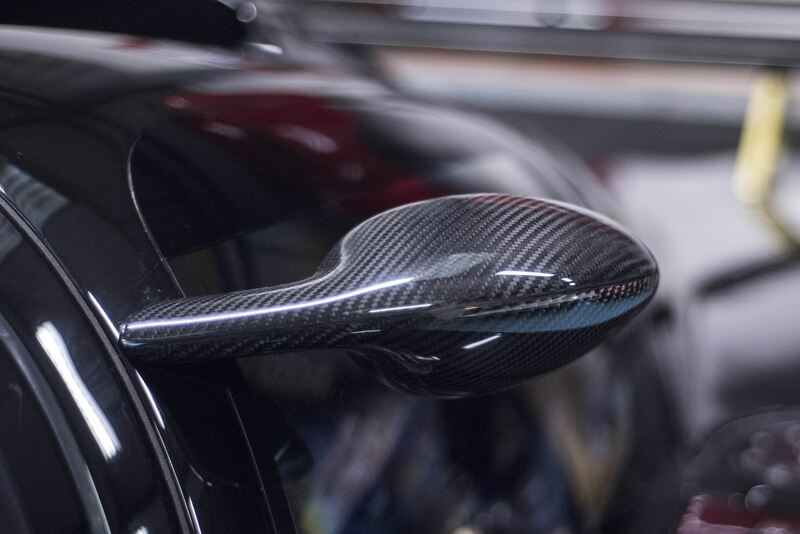 Carbon fibre wing mirrors with revised positioning for improved rear visibility. Zircotec ceramic exhaust coating for improved cooling. Completely upgraded and redesigned fuel system option delivering greater fuel flow to cope with very high engine power levels of 725bhp through to 1200bhp. New design fuel tanks incorporating anti surge internal ball valves. 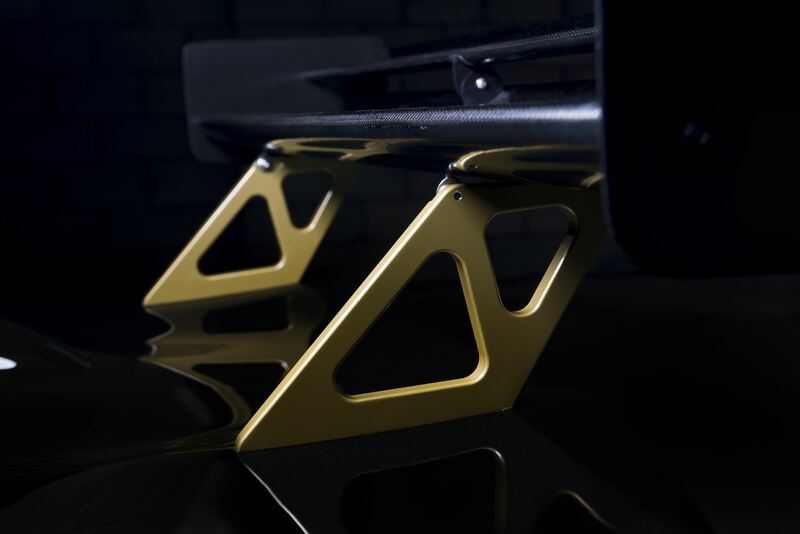 New style Ultima Evolution chassis VIN plates. Twin front mounted Ultima charge cooler system developed for supercharged V8 LS Chevrolet V8 engine installations. Finely crafted leather interior cockpit trim with contrasting stitching available in all colour choices. Fully welded roll cage formed using modern tube bending technology in 45mm CDS with welded rear braces for maximum occupant safety and market leading torsional rigidity. Chassis supplied shot blasted, spray primed and then electrostatically powder coated in a flawless corrosion resistant satin black finish. Unique Ultima twin filter engine air intake system developed for the supercharged V8 LS 1020bhp engine installation. Substantially improved chassis design for all Ultima Evolution models which vastly improves the performance, road manners, road holding and safety whilst boasting a market leading torsional rigidity. New style windscreen and side screen sun visor arrangement. New improved brake reservoir arrangement. Improved rear visibility with a different rear carbon fibre wing design and altered electric rear view mirror mounting position. New radiator cooling fans with vastly improved flow rate and new front mounted radiator fan positioning enabling larger output fans to be fitted. New Ultima Evolution bodywork, wheel, steering wheel and engine rocker cover logo badges. Custom made Ultima Evolution embossed leather luggage set designed to fit inside the sealed side luggage compartments for touring across countries. Heated front windscreen option for rapid demisting in cold, wet, frosty and humid road conditions. Braid wheels is now the official OE wheel supplier to Ultima and standard fitment to the Ultima Evolution. The factory offers the full range of cast and forged wheels at unbeatable prices. New machined exhaust tailpipe trim rings for the rear grill. Electrically adjustable rear view mirrors. 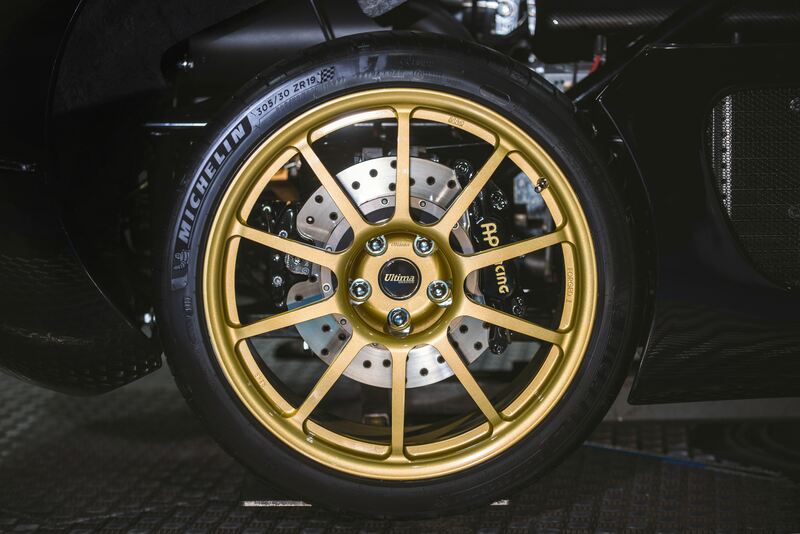 AP Racing 12.7" curved vane cross drilled disc brakes with new design lightweight forged calipers and forged wheels providing the ultimate unsurpassed world beating stopping power - 100mph to 0mph in 3.4secs. Adjustable brake bias front to rear. All s/s TUV hoses. Available in right hand drive and left hand drive. The Ultima EVO is designed primarily as an enjoyable road going supercar so will therefore clear any speed-humps and other obstructions such as ferry ramps in standard configuration. "There is one final, fabulous opportunity to feel the staggering, other-worldly acceleration, though. At the exit of the smooth, sweetly cambered right-hand curve at Creg-Ny-Baa, the road heads downhill dead straight for almost a mile. This is where the fastest bikes hit 200mph. It’s deserted. Hammer time. The Ultima hits hyper-drive in third, then fourth, then top. It’s utterly devastating, the most intense and sustained slug of acceleration I’ve ever experienced on the road." "Ultima does not just offer their buyers a piece of automotive genius, they will also give the buyers a chance to be a part of its creation. Ultima has ensured it’s own reputation even in the hands of others by adhering strictly to high standards of design, ease of instruction, and over twenty years of experience in the field." "Nothing I've ever driven cuts to the chase quite like this car: relentless power, iron-fisted structural integrity, black- out stoppers." Why a new Evolution model? Why is the first Ultima EVO Coupe equipped with 1020bhp? 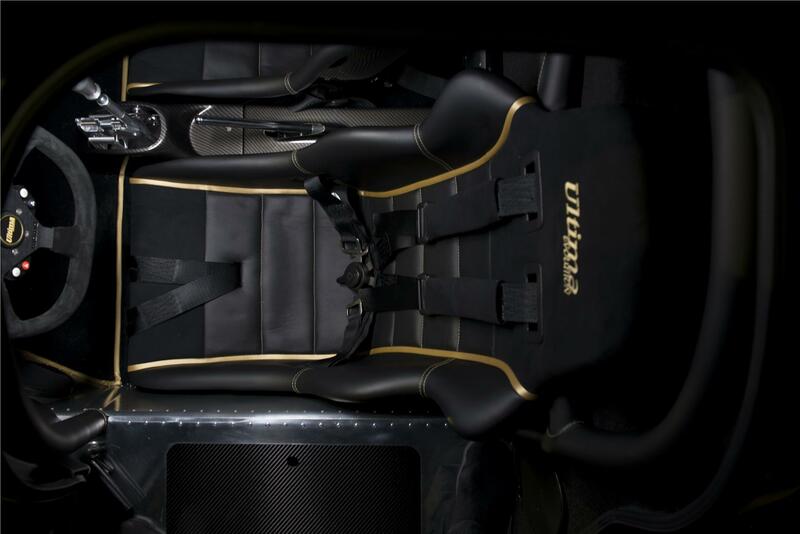 1020bhp enables us to convey the huge and currently unrivalled performance capability of the Ultima road car. The Ultima is already a current multiple world speed record holder with the 640bhp, 685bhp and 720bhp options. The 1020bhp Ultima EVO adds another resource in our quest to forever retain our title as the quickest all round supercar manufacturer in history. By demonstrating this ultimate incarnation, we can show how the Ultima easily deploys this extraordinary performance with mind-blowing results. The majority of EVO customers will opt for power levels somewhere between 350bhp-720bhp. These power levels are more than enough to outrun all modern day supercars in the lightweight Ultima. The 6.2-litre LS3 Chevrolet V8 crate engine is a popular choice which provides the Ultima EVO with 0-60mph in 3 seconds and a top speed of over 180mph. But for those customers wanting even more then we are happy to oblige! Why is there no new body shape for the EVO? "If you don't understand the mentality, buy an ordinary car like a Porsche or Ferrari instead." What is the lead-time for an EVO? The lead-time is currently 18 weeks for a self-assembly package and 52 weeks for a factory built turnkey vehicle. Do you sell to my country? Absolutely yes! We sell and ship worldwide from our UK factory. We don’t use any dealers or distributors as we prefer to deal directly with our customers. This allows us to offer the best possible pricing and factory support. We have already sold the Ultima into 56 different countries and we won't be content until every country contains an Ultima! Are the previous GTR and Can-Am models still available? The Ultima GTR and Ultima Can-Am are now discontinued but spare parts will always be available from the factory. Can I upgrade my existing Ultima GTR or Ultima Can-Am to Evolution spec? 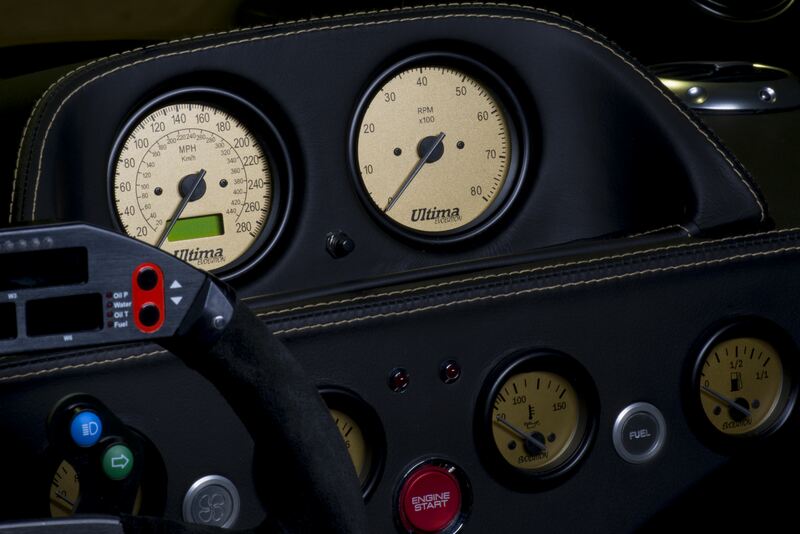 We are very happy to quote for any of the upgrades that a current Ultima owner may desire to fit to their existing car. However, all EVO models have the latest substantially improved chassis design and improved gel coat finish and therefore a 100% EVO specification can only be achieved by purchasing new components. I am already half way through my GTR or Can-Am self-assembly new build. Can I upgrade to an Ultima EVO? Yes. 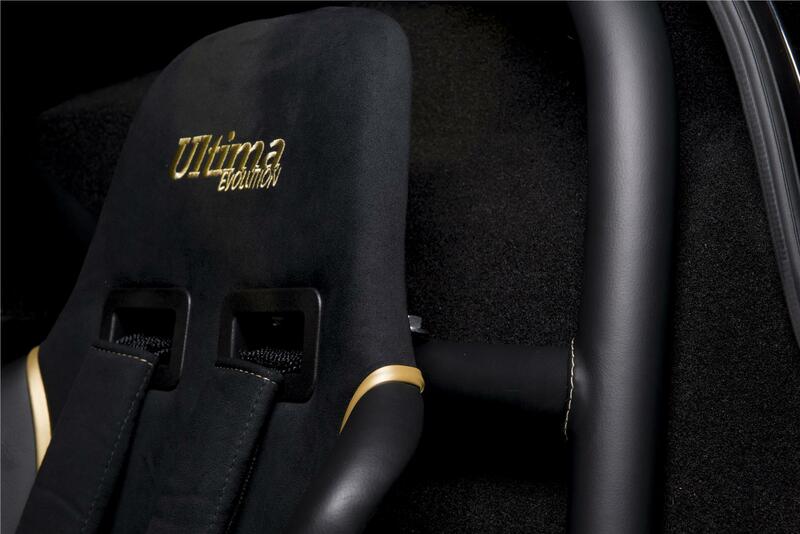 Our new build customers command the utmost priority here at Ultima Sports Ltd. We are happy to work with new build customers who have yet to finish their car to help them upgrade their Ultima to an Evolution specification. 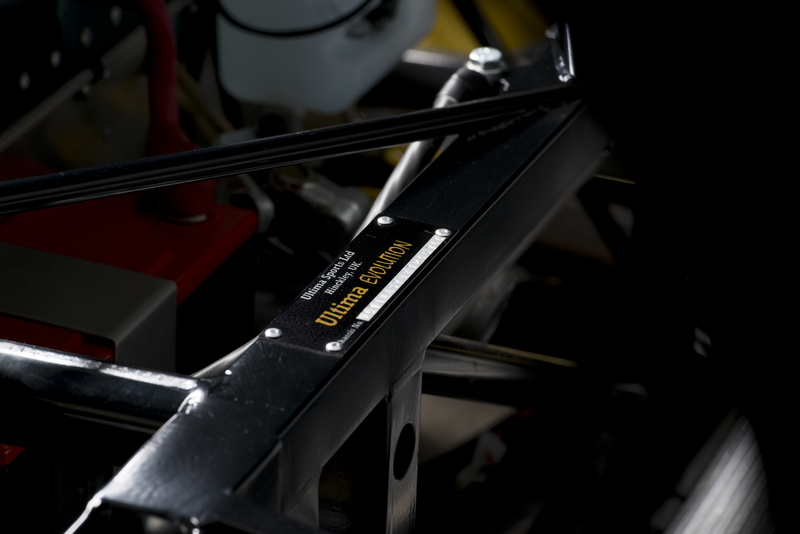 For new unregistered cars which have the 2013 chassis onwards we are happy to issue Ultima Evolution VIN plates as long as the customer purchases the necessary upgrade parts to meet Ultima EVO specification. Can I see the new bodywork gel coat colour options? There is a online Ultima Evolution bodywork colour configurator here which shows an additional nine new colour options for our customers to choose from. Can I choose the wheel colour and cockpit trim colour options of my choice? We can offer virtually any colour for our Ultima EVO wheels and the same goes for interior leather/alcantara trim and associated stitching. Just let us know your personal preferences. What price range is the Evolution? You can build your own new Ultima EVO supercar for around the same ballpark price as a mundane new BMW M3. 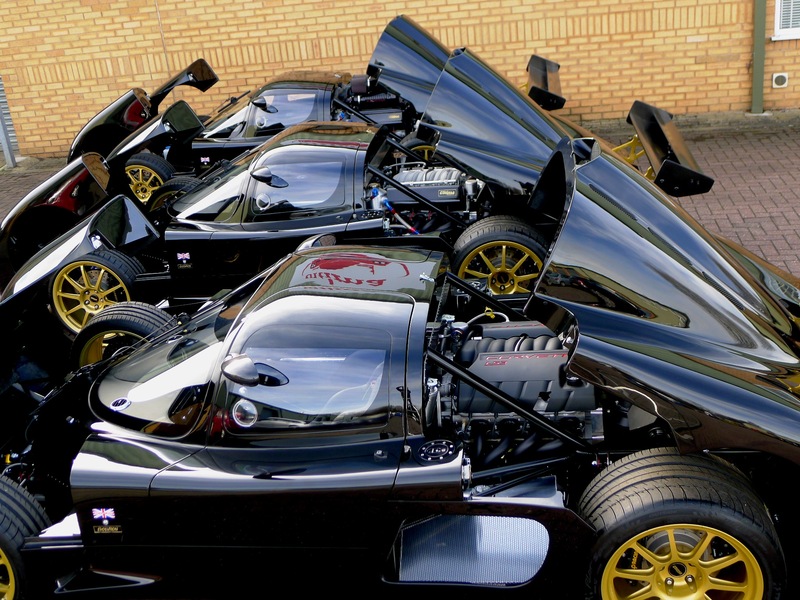 Turnkey Ultima EVO cars can be factory built to special order. Please contact us directly for a quotation based on your desired specification and intended usage at: sales@ultimasports.co.uk. Preview how your choice of gel coat and wheel colours will look. "You want fast? In all my Ferrari-owning, Lambo-loving, Pagani pestering life, I have never driven a road car as searingly quick as the Ultima."